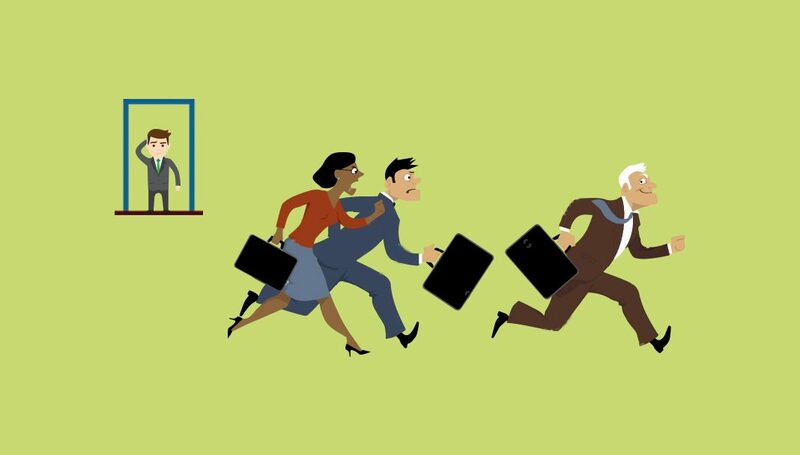 Do your procurement employees seem to be fleeing the business left, right and centre? Trust us: it’s not you, it’s them! But in these circumstances, should you even bother developing them? When Procurious put out a call for procurement survey participants, we were delighted that 500+ professionals across more than 50 countries shared their insights and wisdom. The results have revealed some fascinating information about the current climate in procurement and the attitudes of professionals working within the function. Last week, we investigated the finding that 54 per cent of procurement professionals don’t trust their boss and interviewed a number of global CPOs to find out why this figure is so alarmingly high. This week, we’re putting the same group of CPOs to the test to find out why procurement staff are moving on from their current roles so quickly and how leaders can cope with this erratic workplace dynamic. 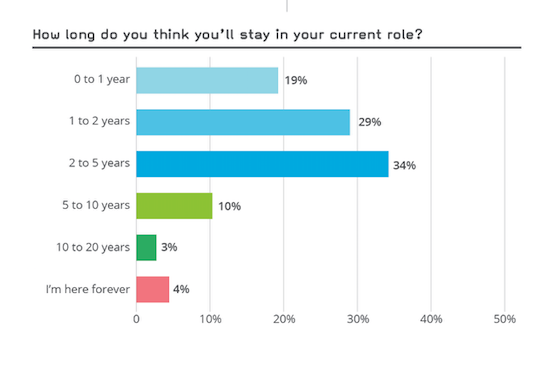 Our survey revealed that 48 per cent of professionals intend to move on from their current role within two years. In the video below we ask them whether procurement leaders are choosing to help their talent prepare for their next role or if they would rather save the effort of developing talent and instead embrace the gig economy. The temptation to job hop is greater than ever before. As Jim Wetekamp, CEO, BravoSolution points out, “People tend to get curious. “You have LinkedIn, Facebook and all these other platforms and all of a sudden [the employee’s] mind starts turning. Maybe this looks cool, maybe this looks like an opportunity. People have such an easy access to information. Under these circumstances, how should leaders be managing their procurement teams to ensure they are able to make the most of their contributions and skills in the short term? Why bother developing the short-termers? If almost half of your procurement team are planning to move on within the next two years, is there any point in you bothering to develop them? What’s in it for you? How do you make the most of your talent before they leave? It’s a contentious and dividing subject. Some employers argue that it’s best to hold onto your talent at all costs by nurturing, incentivising and investing in them. Others consider this futile, believing staff movement to be an inevitable part of business today. If that’s the case, surely it’s most beneficial to find ways to make the most of them in the short term? It’s apparent that many organisations are reluctant to fully embrace the gig economy, which relies on flexible working, contractors and a less traditional workplace environment. But if flexible working is what procurement professionals are after, there’ll have to be a level of compromise. Today 34 per cent of workers in the U.S. are freelancers, and this figure is projected to reach 43 per cent by 2020.